How Have Computerized Accounting Systems Such As QuickBooks Changed the Way Accounting Is Done? The rise of computer technology has resulted in a revolutionary impact on how accounting is done. Bulky and manual general ledgers and journal books are a thing of the past. Computerized accounting has made the entire process much simpler and more error-free. An interesting side benefit is the fact that accountants have also changed. Their reputation as bean-counting introverts has diminished as people skills become more important than adding up columns of numbers. Few things have been as revolutionized by technology as how accounting is done. In years past and even into the 1980s, the term “general ledger” referred to a rather large book that included one or more pages for each of the businesses accounts. For example, there would be at least one page each for cash, accounts receivable, accounts payable, owner’s equity, etc. Journal entries were entered manually in a book that actually was called a journal. Each entry was then posted, or carried over, to the appropriate general ledger account. Accuracy in posting was very important, since a mistake (or improperly calculated number) could result in hours of recalculation. 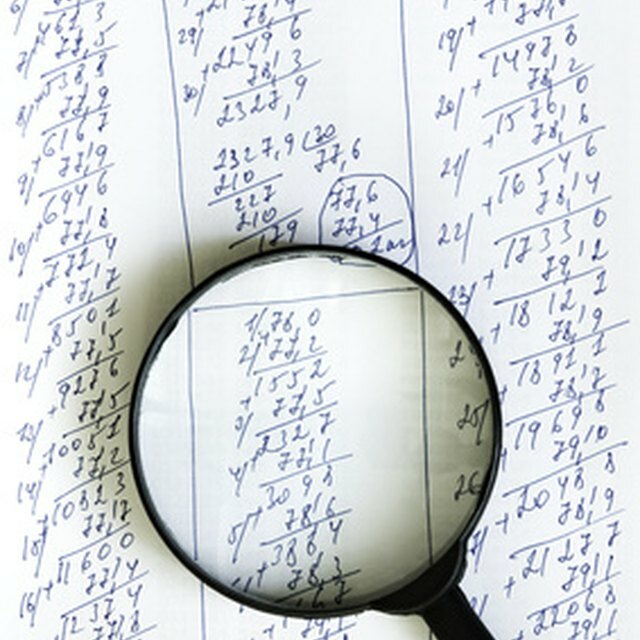 Searching for an accounting error could be like looking for a needle in a haystack. Transferring the general ledger balances to the financial statements was also a tedious process. A large business might have 10 cash accounts, the sum total of which would show on the balance sheet under “cash.” Because of the manual nature of preparing financial statements, it was important to know which general ledger items carried over into which balance sheet and income statement accounts. Preparing tax returns was a similarly time-consuming and manual process. What Are Basic Accounting Skills? What is the Meaning of Understated and Overstated in Accounting? Much of the tedium left how accounting is done when accounting software came onto the scene. The change didn’t happen overnight, since the first wave of accounting software left much to be desired. But help was definitely on the way in terms of making how accounting is done a much easier process. Software programs such as QuickBooks made the days of hand-balancing a general ledger a thing of the past. Journal entries could be entered into accounting software, which required offsetting debits and credits for each journal entry. As a result, it became much more difficult to throw a QuickBooks (or other computerized) general ledger out of balance. The process of financial statement preparation also became increasingly computerized. Accountants no longer had to painstakingly carry each balance into the financial statements and then have them typed up by an expert typist. Instead, QuickBooks and other software solutions printed statements out with increasing efficiency and speed. Payroll, payroll tax preparation, year-end tax return preparation and W-2 processing all became increasingly computerized. Technological changes that revolutionized how accounting is done had a similarly revolutionary on accountants in general. Accountants used to have a reputation as introverts with thick glasses who loved to sit in a corner and add up columns of numbers. QuickBooks and its competitors automate the calculations, however, giving accountants more time to spend on interpreting data and implementing it to make smart financial decisions. Although the books still need to be kept, accounting software enables accountants to focus more attention on consulting and managerial advice than on adding up columns of numbers. People skills are now more important to the accounting profession than ever before, all because computerized accounting programs have changed how accounting is done.